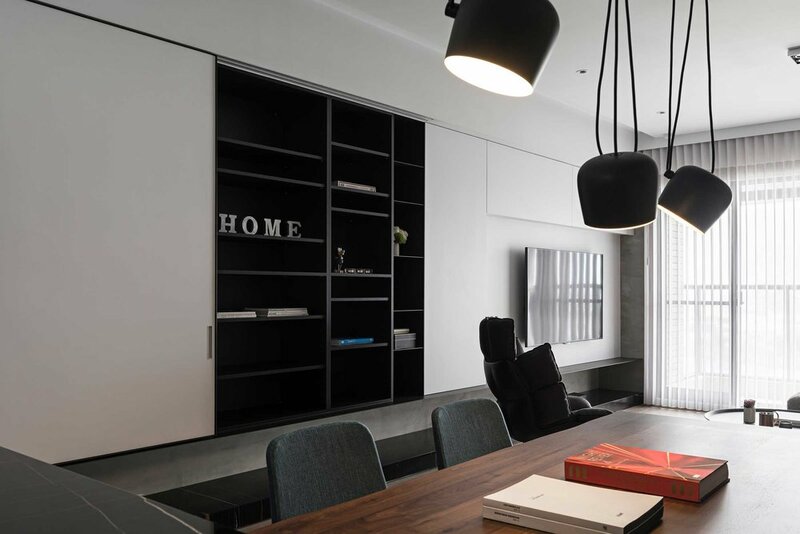 In Taoyuan, Taiwan, an 84-square-metre apartment has been transformed into a minimalist’s monochrome dream. 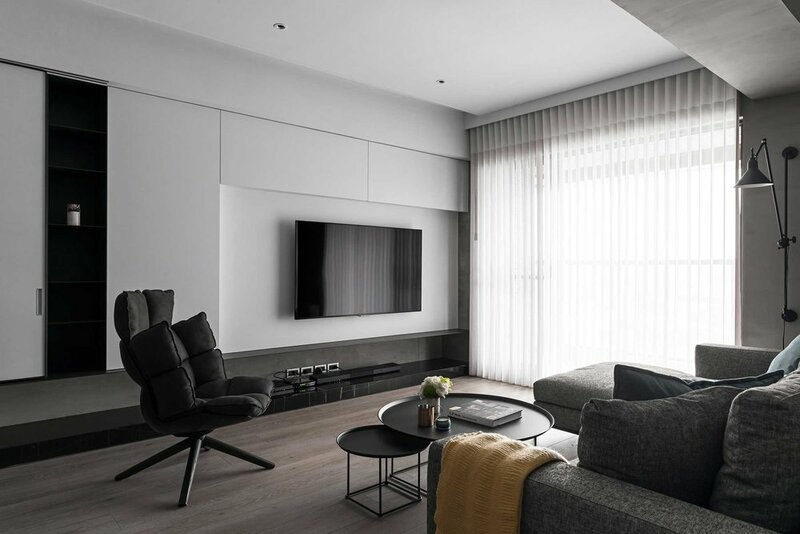 ‘The clients wanted a spacious and relaxed living area,” explains Wesson Yang, director of interior design firm Yangdesign. 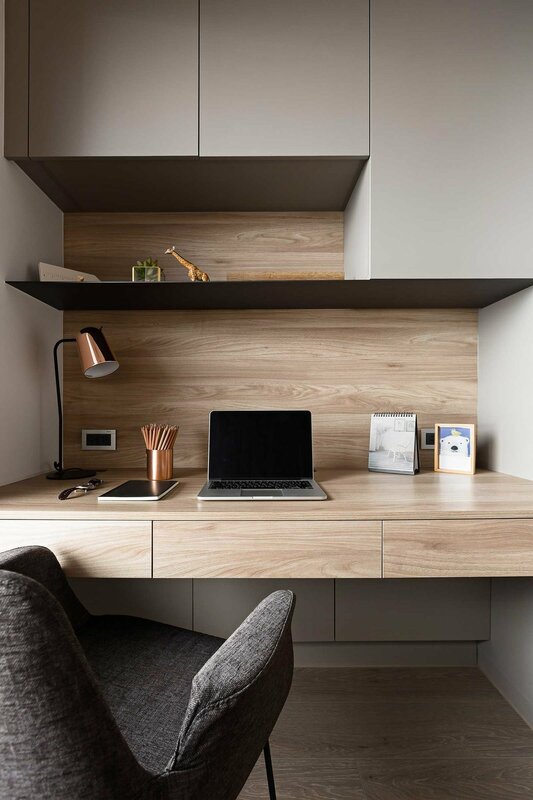 ‘The apartment already had a good structure that created an airy ambience, so we just readjusted the walls to create a more spacious and comfortable shared area,’ Yang says. These new wall partitions not only increase the flow of natural light into the apartment but also help to delineate private and public spaces. Throughout the apartment, a no-fuss, grey and white colour scheme has been used, punctuated by brightly coloured art and furniture. Most of the furniture pieces in the home were sourced from B&B Italia, and the striking pendant in the dining area is Aim by Ronan and Erwan Bouroullec for Flos. Laminated wood creates a warm and welcoming atmosphere, and the design team chose a complementary material and colour palette to draw attention away from the large construction beam that runs along the living room ceiling.